The course is designed to equip practitioners with the higher level skills and knowledge to apply recent developments in nutritional science, technology and legislation to support sustainable expansion and intensification of ruminant production systems and meet consumer demands for ruminant products both within the UK and globally. It is primarily aimed at UK graduates, veterinary surgeons and specialists within the animal feeds industry, but may also be of interest to overseas applicants. Globally the demand for animal products is expected to increase by 85% by 2050 and this increase in demand can only be satisfied by increases in production efficiency and sustainable intensification of ruminant production systems. 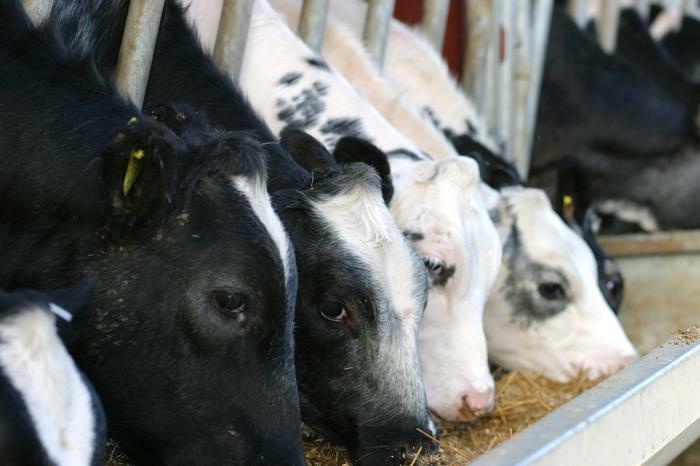 Within the UK, ruminant production systems are under increasing pressure to maintain profitability and improve product quality, whilst maintaining animal welfare and reducing any detrimental effects on the environment. As animal feed represents over 80% of the variable costs associated with production, an understanding of the science and technology associated with digestion, metabolism, growth and lactation will be essential in order to increase the efficiency and maintain the profitability of ruminant production systems in the future. These awards will provide a recognised higher education qualification for graduates intending intending to work in the ruminant sector, and contribute towards the continued professional development of veterinary surgeons and specialists already in full time employment. Candidates will be expected to have obtained a 2:1 honours degree in an appropriate agricultural, veterinary or scientific subject. Alternatively, candidates with a good UK-based HND or foundation degree in an appropriate agricultural or scientific subject, together with related industrial or professional experience of at least two years will be considered. For all candidates evidence of qualifications and experience will be required. The programme is offered on a part-time basis and is designed to be flexible and allow students to study for either a PgC (60 credits), PgD (120 credits) or an MSc (180 credits) over a period of one, two or three years depending on their requirements. Most modules have a value of 15 credits, which equates to five days of direct teaching, with independent study being supported through our virtual learning environment. To facilitate attendance by students in full time employment, modules will be delivered in blocks of two to five days duration. Progression from the PgD to the MSc will require students to undertake and complete a Research Project supervised by an appropriate subject specialist at Harper Adams. The learning and teaching methods used will vary depending on the subject matter, but will include formal lectures, tutorials, laboratory practical classes and farm/industry visits. Extensive use will be made of the resources available at Harper Adams, including our farm and laboratory complex to illustrate ruminant production systems, feed evaluation techniques and the principles of nutrition and feeding. Modules will be assessed by a combination of formative in-course and summative end-ofmodule time constrained assessments. There are many career opportunities for those with a post-graduate qualification in ruminant nutrition including teaching and research positions at academic institutions and advisory work as subject specialists in the animal production or animal feed industries.